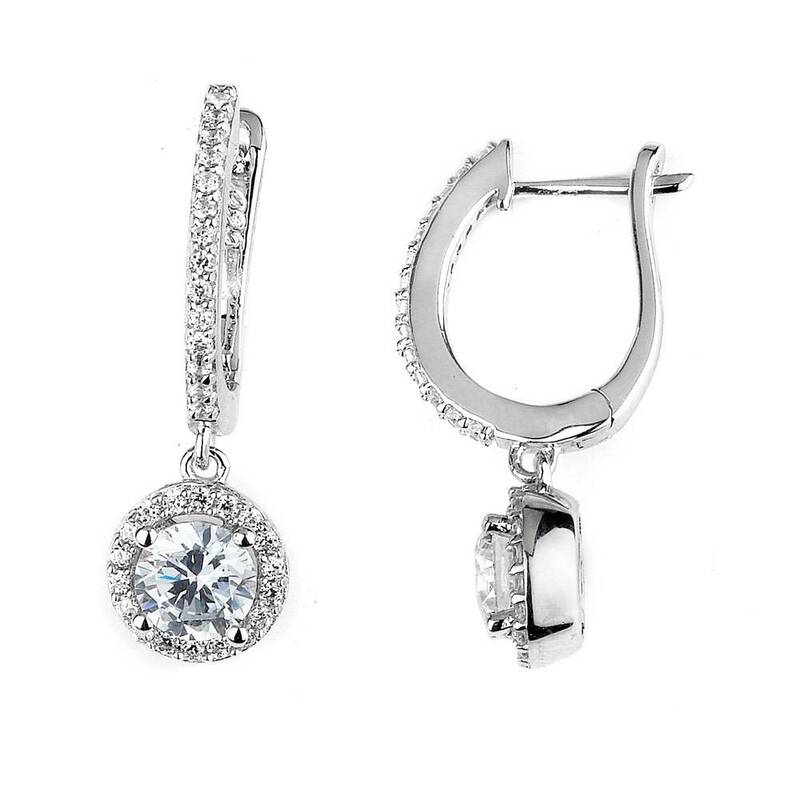 Ladies sterling silver and cubic zirconia halo drop earrings of classic styling. The earrings are set with round cut cubic zirconia's that are micro pave set. The earrings secure with posts and lever backs for safety.